Denise and Derrek Shaw have the perfect marriage. They have been happily married for fifteen years, have a beautiful smart daughter, successful careers and live in a posh house in the burbs. But everything that seems perfect is not. So what are the Shaws hiding behind closed doors? An addiction to drugs. It always starts off innocent. A prescription pill here, using cocaine socially there. Sure, the Shaws can quit at any time, right? At least that is what they believe. As their jobs become more demanding and the pressure of appearing perfect grows stronger, Denise and Derrek's drug use increases. Before long, they cannot go a day without a fix. Their young daughter, Mackenzie, sees what the drugs is doing to her family and desperately attempts to stop it. 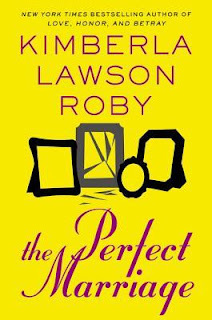 I expect a new good novel from Kimberla Lawson Roby every January. The Perfect Marriage did not disappoint. It made me think as I turned the pages. The fast-paced book made it easy for me to finish in one sitting. 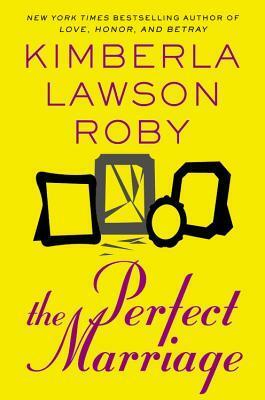 The Perfect Marriage is a short novel guaranteed to spur a long conversation about the effects of drug addiction and consequences. There are so many working professionals that teeter over the crackish/occasional pill popping line. Addiction is real. So is denial. This book brings it to the forefront in a fiction manner. Read it, discuss it, recommend it. Check out the book trailer below. Join the #ESSENCEBooks Club meeting at 7 p.m. EST on Friday, February 8 on Twitter.